shareholders available on the investor relations section of its website. 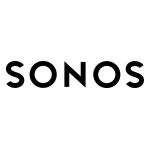 To view the letter, please visit: https://investors.sonos.com/investors/default.aspx. webcast and replay of the conference call and Q&A will be accessible at: https://investors.sonos.com/news-and-events/default.aspx. content they love and allowing them to control it however they choose. in Santa Barbara, California. Learn more at www.sonos.com.